Classic Hardwood Flooring & Design: Out With The Old, & In With The New! Out With The Old, & In With The New! 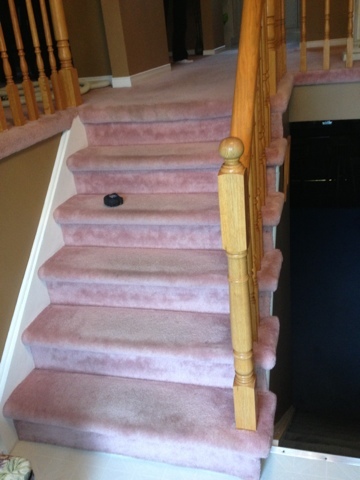 These homeowners were looking to update their stairs but didn't want to commit to oak flooring throughout, to match their railings, or the cost involved in replacing the railings as well. The solution: Add another wood species that offers a bit of contrast to the existing wood. 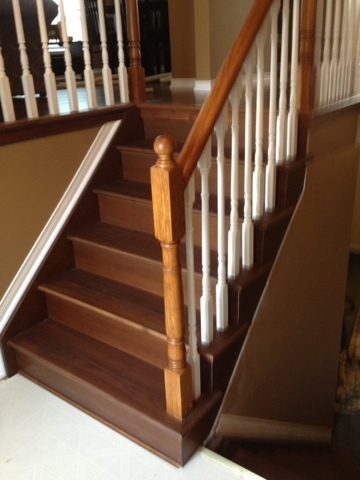 These hickory stairs were pre-assembled and stained to match the new pre-finished flooring.